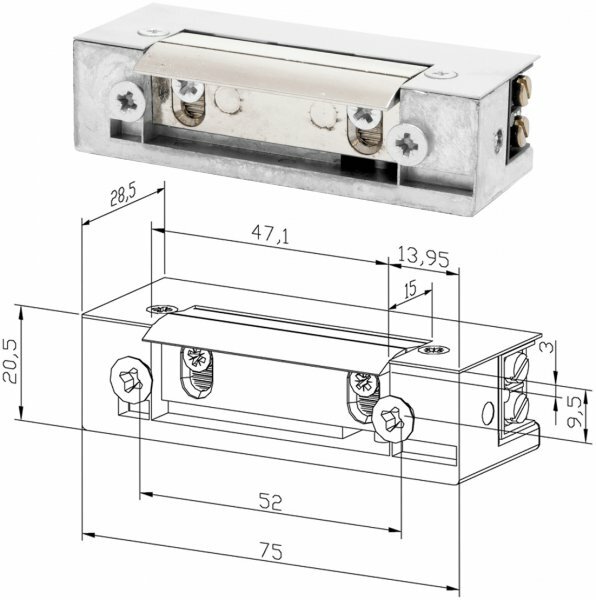 S series is the most versatile, symmetric electric strikes in mounting and using. Used very often in offices, public buildings, houses and other places where are access control systems and time attendance systems. Narrow, symmetrical electric strikes with radius, adjustable latch (when opening it’s not going beyond the outline of electric strike). They can be used in public buildings, both metal, wooden or PVC doors. 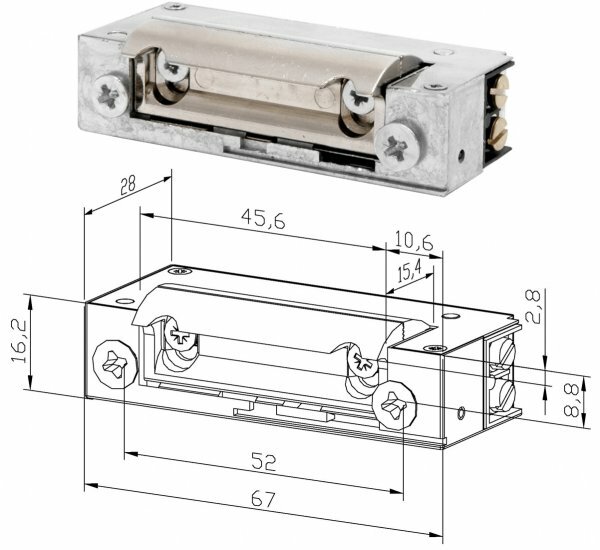 Electric strike Hartte XS-C features built-in latch guide with latch cover, what eliminates necesity of wide punching for electric strike in door frazes and narrow housing for easy installation in narrow door frames. 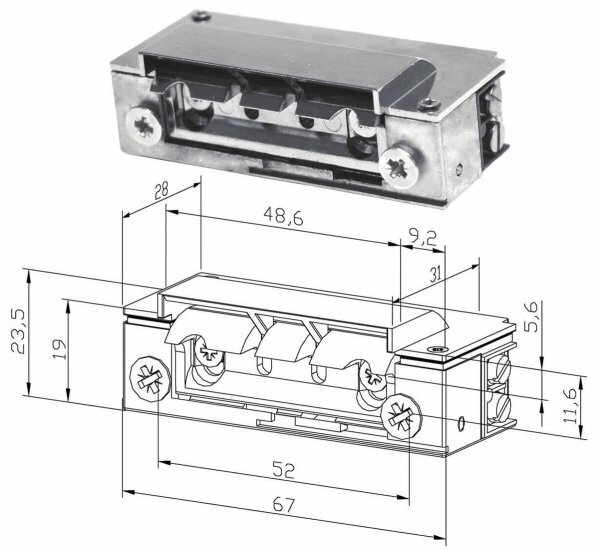 Important advantage of HARTTE XS-C is also radial-shaped latch which is not going beyond the outline of electric strike when opening. Commonly used in public buildings, both metal, wooden or PVC doors. XS-C series is recommended for non-rebated doors.